Melonee Wise is the CEO of a very new startup, Fetch Robotics, that is building autonomous mobile manipulators for things like warehouse and ecommerce operations. 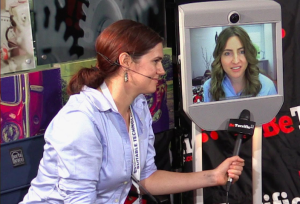 Fetch is not her first startup – she launched Unbounded Robotics in 2013. Fetch also draws on Wise’s experience as Manager of Robot Development at Willow Garage, building the world’s most sophisticated personal robot. Wise’s background also includes building Battlebots and the low cost open source Turtlebots for research and hobby robotics. Erin Rapacki is Director of Marketing at Suitable Technologies. 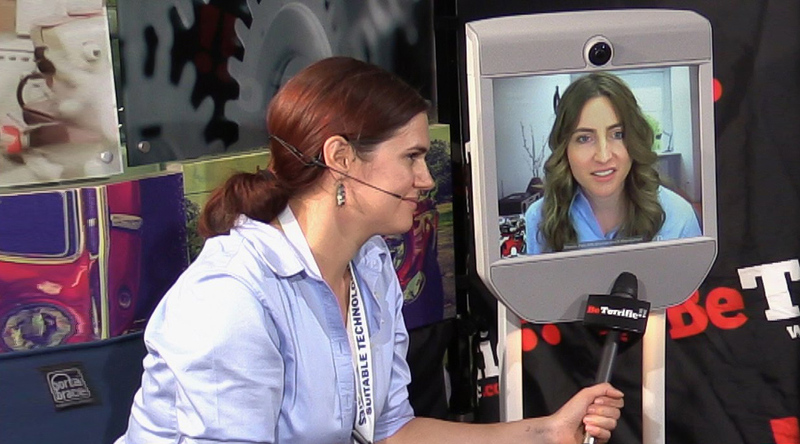 Suitable Technologies is a spinoff of Willow Garage, making telepresence devices. Suitable prefer not to call them robots because it distracts people from how useful they are. Rapacki previously worked at Industrial Perception Inc., Adept Technology and Anybots, building robots. She has built on her mechanical and industrial engineering background to become a product ‘storyteller’. Katherine Scott is the CoFounder and Software Lead at Tempo Automation. Tempo Automation is a desktop pick-and-place robot that automates surface mount assembly and speeds up the electronics prototyping or small batch manufacture process. Scott was previously a cofounder at Sight Machines, and computer vision engineer at Essess and Cybernet Systems Corp. Along the way Scott developed a large part of SimpleCV Python library, and a number of innovative software prototypes in the fields of computer vision, graphics, augmented reality and robotics. 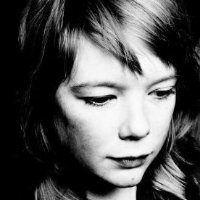 Steffi Paepcke is the CoFounder and Lead UX Designer at OSRF, the Open Source Robotics Foundation, which was created to support the development and distribution of open source source software for robotics research, education and product development. Paepcke previously worked at Intuit and Willow Garage and draws on a background in psychology and human-computer or human-robot interaction. Dale Bergman is the Research Coordinator at Intuitive Surgical, one of the largest and most successful robotics companies in the world. 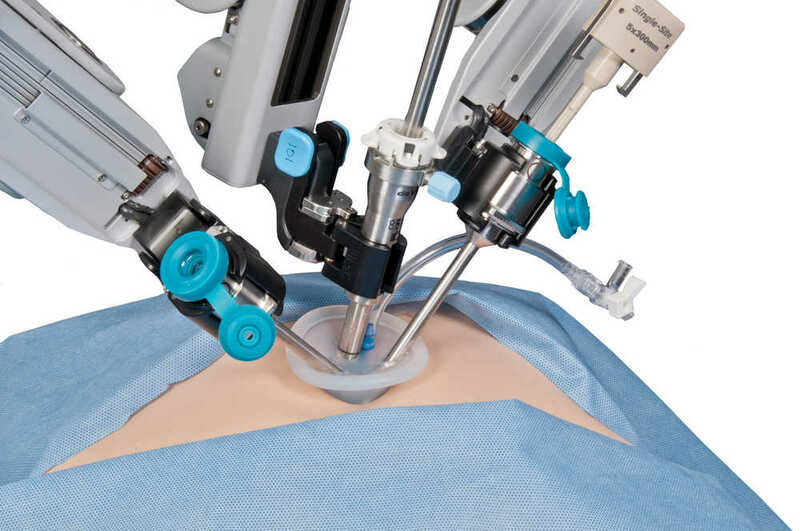 Bergman was previously research coordinator and clinical research manager at companies like Hansen Medical, Acuson and Siemens Medical, transferring her experience with ultrasound and other medical devices into more sophisticated robotics systems. Bergman is a great example of expert knowledge in other domains intersecting with robotics. Robotics is much more than just engineering. Robotics includes computer science, mech eng, electrical eng, control systems, user interface, human-robot interaction, psychology, neuroscience, artificial intelligence, biomechanics, industrial design and product management. Applied robotics (ie. 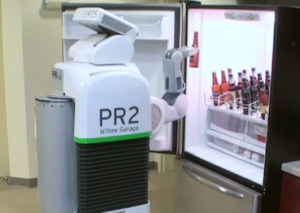 robots working alongside people in the real world) also requires caring about what people are going to need robots for. Business model problems require people with more than engineering skills. This requires customer development thinking and domain knowledge of areas outside of robotics. To generalize, these are things that women do really well. And yet to date, robotics has remained rather … masculine. This needs to change for lots of reasons. First, because robotics needs better business models in order to make positive change in the world. And also pragmatically, because there just aren’t enough roboticists out there. Robotics is a rapidly growing area, and the combinations of skills and holistic thinking that develop when you work in robotics are also in demand in other employment areas. We have a skills shortage in robotics that is only getting worse. So we decided to do something about it. Silicon Valley Robotics is the non-profit organization supporting the innovation and commercialization of robotics technology in the Bay Area. The first panel event in our new Influencer series is celebrating the achievements of women in robotics with these five fantastic speakers. 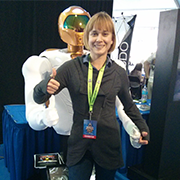 SVR Influencer Series: Women in Robotics – is Silicon Valley a challenge or opportunity? The event will be at IDEO SF on Wednesday April 29 from 7pm to 9pm. We have extra tickets available if you’re a woman interested in getting involved in robotics. And I’m the moderator of the evening, which is apt, because I’m also a woman in robotics, and my background is in communications, technology and the sociology of science. Or what I like to call ‘human-robot culture’.